mike downes - we make videos to help people learn: GOVERNMENT ANNOUNCEMENT OF HS2 DECISION (as emailed to me at 9.06am today) In full it reads..
GOVERNMENT ANNOUNCEMENT OF HS2 DECISION (as emailed to me at 9.06am today) In full it reads..
Justine Greening, Secretary of State for Transport, has today announced her decision to proceed with the plans to build a high speed rail line between London and the West Midlands and on to Manchester and Leeds. HS2 will improve capacity across the rail network, shorten journey times between Britain’s major population centres, boost the economy and create thousands of jobs. I am aware of the strong feelings for and against HS2 but the Government has now decided that the time is right to build a high speed network that connects our major cities, Heathrow and continental Europe. This will be one of the most significant transport projects ever undertaken in the UK. The first phase – from London to the West Midlands - will free up much needed space for other services on the West Coast Main Line, help drive economic benefits and enhance business productivity, while taking you from London to Birmingham in just 49 minutes. Now that ministers have decided to go ahead with the project our purpose changes significantly. Rather than just advising Government we will now move to promoting the project as well. Engineering, design and environmental work begins immediately in preparation for the hybrid Bill for the London to West Midlands section, and we will continue to develop proposals for the Manchester and Leeds legs. The consultation that ran from February to July last year generated 54,909 responses and helped inform a series of refinements that have been made to the route. A package of alterations were recommended by HS2 Ltd and accepted by the Transport Secretary. (See key changes below) Compared to the consultation route there will be a 50 per cent increase in tunnel or green tunnel - totalling around 22.5 miles. In addition, around 56.5 of the 140 miles of the London to West Midlands line will be partially or totally hidden in cutting. In the Chilterns Area of Outstanding Natural Beauty (AONB) just over one and a half miles of the route will be visible. Increase the clearance of HS2 over the Trent and Mersey Canal near Lichfield. The change is required to keep the canal navigable and will slightly improve flood management. Move the route slightly further away from Middleton. The changes to the scheme in this area will result in fewer demolitions and less noise impacts. 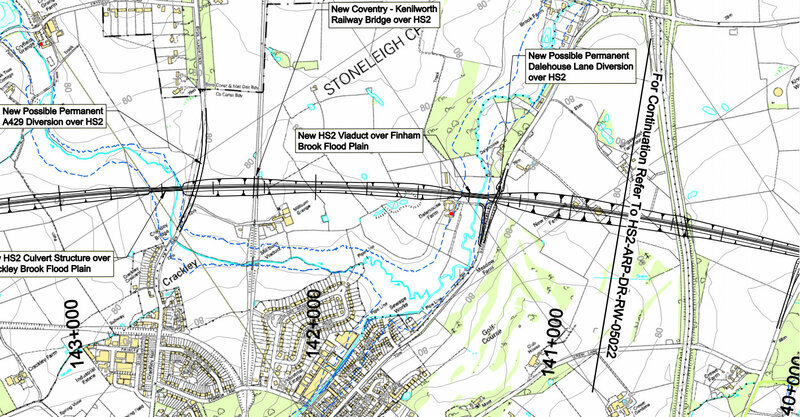 Mitigation of impacts on Balsall Common by moving the line further away from the community and lowering the height of the viaduct. A shallower cutting and longer green tunnel at Burton Green. Changes here include mitigating local impacts and reducing spoil generation, whilst still shielding the visual impact of the trains from the community. Avoid Kenilworth Golf Club, lower the line further into cutting through the National Agricultural Centre, and introduce a narrower cutting through South Cubbington Wood. This will help mitigate the impacts in this area and also avoid the need for the demolition of a Grade II listed farmhouse at Kenilworth. Introduce a longer bored tunnel at Long Itchington Wood. This will reduce land take, noise, landscape and visual impacts significantly. Introduce a longer green tunnel past Chipping Warden and Aston le Walls, and curve the route to avoid a cluster of important heritage sites around Edgcote. These changes will provide additional mitigation for Aston le Walls, reduce setting impact on Grade I listed Edgcote House, avoid a Scheduled Monument (the Roman Villa site) and the possible location of the historic Edgcote Moor battlefield. Lower the alignment and introduce a green tunnel past Greatworth, and a short green tunnel at Turweston. These changes will help mitigate landscape, noise and visual impacts as well as remove the need for a viaduct. Move the route further from Twyford, taking it further away from Twyford and reducing noise. This will assist mitigating impacts on Twyford by making some land available between HS2 and the village that would allow for landscaped earthworks that will reduce noise and visual impacts. Lower the alignment past Aylesbury and Stoke Mandeville to reduce local impacts and eliminate the need for larger scale works to local roads and the Chiltern Railways line. Introduce a longer, now continuous tunnel from Little Missenden to the M25 through the Chilterns Area of Outstanding Natural Beauty (AONB) to reduce the need for deep cutting and to avoid a major aquifer. This will provide an overall benefit to landscape and features in the AONB. Introduce a 2.75 mile (4.4 km) bored tunnel along the Northolt Corridor to avoid major works to the Chilterns Line and impacts on local communities in the Ruislip area. This will have the effect of removing all surface impacts apart from the need for an intervention shaft. The Department for Transport intends to introduce a hybrid Bill to Parliament by the end of 2013 to provide the necessary powers to construct and operate Phase 1 of the project. In order to achieve this timetable the following work will be carried out. HS2 Ltd will develop the preliminary design of the route and the Environmental Impact Assessment (EIA) to enable an Environmental Statement to be produced and consulted on in the Spring 2013. Safeguarding boundaries will protect the land that will eventually be needed to build and operate HS2 from the development of new construction projects. We intend to draw up a provisional set of boundaries and hold a consultation on them also in Spring 2012, around the same time as the consultation on blight proposals. We will consult with the statutory bodies, including local highways authorities and planning authorities, which have a direct involvement in safeguarding issues. We will use their feedback to finalise the arrangements for safeguarding, which are likely to be in place in autumn 2012. 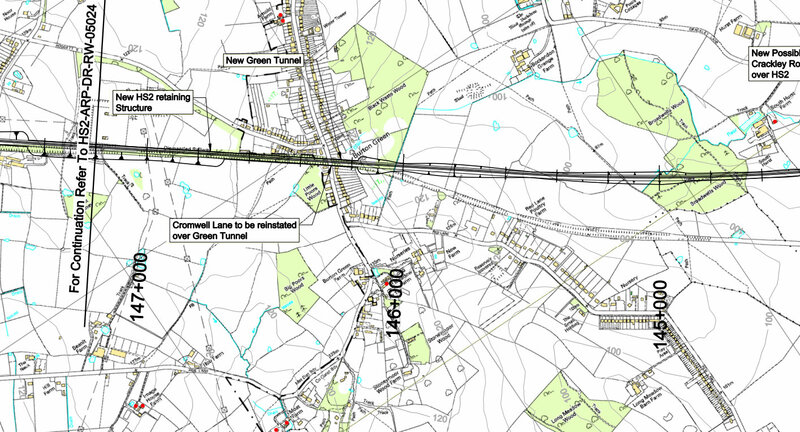 In Spring 2012 HS2 Ltd will undertake a public consultation on proposals to help people who are close to and affected by the route. The consultation will last for 12 weeks and it will help to shape a package of compensation measures which we again expect to be in place for autumn 2012. The revised route announced today almost halves the numbers of dwellings at risk of land take and reduces by a third the number experiencing increased noise levels. To assist affected homeowners, communities and businesses a package of property measures are to be brought in over and above what affected homeowners are already entitled to under law. How will we work with local communities? We will work closely with local authorities, communities and stakeholders to develop the route, identifying potential impacts and exploring the best opportunities to mitigate them. As part of our ongoing engagement with local people and organisations on the London to West Midlands route we will set up community forums, planning forums and an environment forum. Community forums will enable communities to identify the most significant impacts in each area and contribute to our efforts to mitigate them. Planning forums will facilitate discussion of route design development, planning issues, environmental impacts and mitigation principles. They will involve officers from local authorities and other transport and planning bodies. An Environment forum will involve national representatives of environmental consultees and government departments. This group will assist the development of environmental policy for the development stage of HS2. We will establish community forums along the line of route from London to the West Midlands as one way of working with local communities. We will discuss with county, district and parish councils how best to create community forums that will work in each area. inform the local community about HS2 proposals and consultations. highlight local priorities for mitigating the environmental impacts of the route. discuss potential mitigation options, such as screening views of the railway, managing noise and reinstating highways. HS2 Ltd will also continue to work on proposals for the line of route from Birmingham to Leeds and Manchester - phase 2 of the project. We plan to submit recommendations for route and station options for phase 2, including a connection to Heathrow, to ministers by Spring 2012. We anticipate that a period of engagement and consultation will follow. Following consultation, it is expected that a decision will be made by ministers on the preferred route for phase 2 by December 2014. This timetable will be kept under review with a view to ensuring as swift a process as possible while recognising the need for extensive engagement. You can also contact the public enquiry line for more information on 020 7944 4908 or hs2enquiries@hs2.gsi.gov.uk.